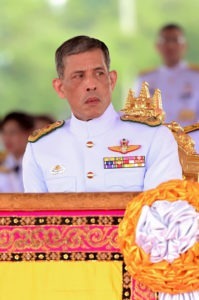 King Maha Vajiralongkorn has been on Thailand’s throne now for almost two years. While the Thai constitution stipulates concisely that the Thai monarchy must stay above politics, it is evident that this rule has never been closely obeyed. During the era of King Bhumibol Adulyadej, the monarchy occasionally intervened in politics. Bhumibol was highly skilful in manipulating politics from the shadows, mostly through his proxies. Today, Thailand is under the reign of his son, Vajiralongkorn. The new king continues to operate outside the constitutional framework. Vajiralongkorn is striving to re-establish the power and authority of the royal institution, fully enjoyed by Thai kings prior to the abolition of absolute monarchy in 1932. During Vajiralongkorn’s time as Crown Prince, his intervention in politics was limited. Much of his political string-pulling pertained to his personal matters. For example, by punishing or rewarding those working for him, or by bending the legislative process to expel his second wife and revoke her passport. He also meddled in the appointment of the police chiefs in 1997 and 2009, but these things were driven by personal motives. Even prior to his ascension to the throne, hints of Vajiralongkorn’s political ambition could be detected. Rumours of conflict between him and his more popular sister, Princess Maha Chakri Siridhorn, suggested a power struggle within the palace walls ahead of the royal succession. There was no such war. Vajiralongkorn was already firmly in charge of palace affairs before his father passed away in October 2016. He removed his father’s personal assistants and replaced them with his own men. By doing this, Vajiralongkorn neutered the Privy Council, an institution that propelled the power of the monarchy during the Bhumibol period. The President of the Privy Council, General Prem Tinsulanonda, also a former army chief and prime minister, was unofficially stripped of his power. Partly, this action was because Vajiralongkorn had disliked Prem, someone who had long questioned the legitimacy of Vajiralogkorn owing to his notorious reputation. But essentially, Vajiralongkorn wanted to transfer the overwhelming power invested in the Privy Council into his own hands. In its heydays, the Privy Council controlled the army and acted as glue connecting the military and the monarchy. Hence, the Privy Council was oft criticised for masterminding coups to undermine and threaten governments. Vajiralongkorn refused to sign the military-drafted constitution until changes were made to provisions related to the king’s authority. Soon after assuming kingship, Vajiralongkorn moved a step further to shore up his power. He refused to sign the military-drafted constitution until changes were made to provisions related to the king’s authority. Vajiralongkorn is now able to reside in Munich, Germany, for a longer period without having to nominate a regent to oversee the royal affairs on his behalf back home. Kevin Hewison, a political scientist, argues that, more politically significant, the king took back his power to resolve a constitutional crisis and gained power over all legislation. These changes allocated the king authority greater than the junta had anticipated, undoing the “adult supervision” of newly created organisations, and potentially placing the king at the centre of future political crises. Another law was enacted in 2017 in regards to the ownership of the superrich Crown Property Bureau. The legal change meant that crown property assets reverted to the ownership of the king with the bureau’s investments now being held in Vajiralongkorn’s name. The exact size of the Crown Property Bureau is not public knowledge, but Forbes magazine valued the bureau’s holdings in real estate and other investments at more than $30 billion in 2012. Clearly, Vajiralongkorn has been consolidating his power, both politically and financially. This is the first time since 1932 when a new Thai king holds more formal power than his predecessors. The entrenchment of the monarchical power has been made possible by a renewed alliance between the monarchy and the army through a repressive military regime. 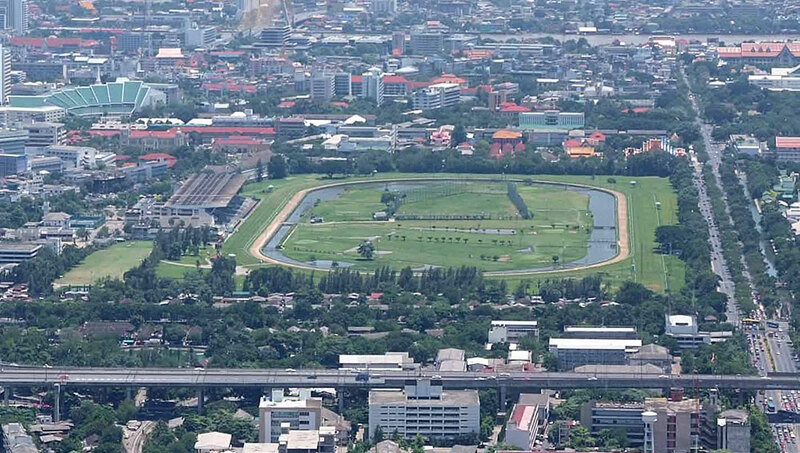 More recently, he has taken into his possession a number of major public buildings in Bangkok, from the Dusit Zoo to the Nang Loeng Horse-racing Track. Both are located within the close radius of the royal palace. The confiscation of these buildings was supposedly meant to be an expansion of the spatial power of the new king. A dream of redesigning Bangkok to mimic London where royal properties have been integrated finally comes true under Vajiralongkorn reign. The only difference is that whereas the British royal parks are open for public, those in Thailand will be forever shuttered. In the political realm, since the coup of 2014, Vajiralongkorn, himself also a military officer, has never condemned the overthrow of the elected government of Prime Minister Yingluck Shinawatra. Neither has he supported the return of democracy. The two institutions have worked intimately to guarantee a smooth royal transition, and hence to protect their political interests. The protection is assured by the draconian lèse-majesté law which forbids any criticisms against royalty. Thailand’s political crisis has created a vast chasm between the royalists and the rest. New political alternatives have emerged onto the political scene since the last decade, led by Thaksin Shinawatra who has continued to dominate the electorate even when in self-exile in Dubai. Thaksin threatened to write his new political script to replace the old political structure dictated by the monarchy and the military. Hence, fears of Thaksin drove the military to stage a coup to better manage the royal succession. Some would have hoped that the new monarch would be more open, liberal even. Yet, they were wrong. After the long authoritative reign of Bhumibol, some would have hoped that the new monarch would be more open, liberal even. Yet, they were wrong. Now that Thailand has installed a military-trained king on the throne, who is determined to expand the monarchy’s powers, the country’s future does not seem bright. The new monarch promises authoritarianism rather than democracy. Monarchies elsewhere in the world have survived into the present day thanks to their ability to adapt. The British monarchy exemplifies how an old institution, often seen as a political anomaly, has lived side-by-side with democracy. King Vajiralongkorn appears less interested in embracing modernity. Thailand, thus, has two routes to resolve its political problem. One is to normalise a repressive society under the monarchy-military nexus. The other is to go with republicanism. Thanks for this concise overview of the new king’s power-grab. It seems he was underestimated by old Thai power holders before he took the throne.